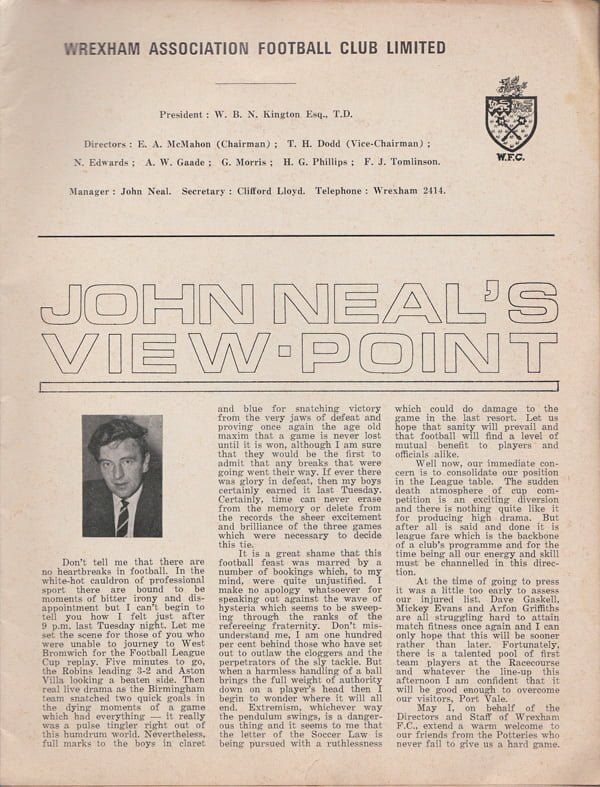 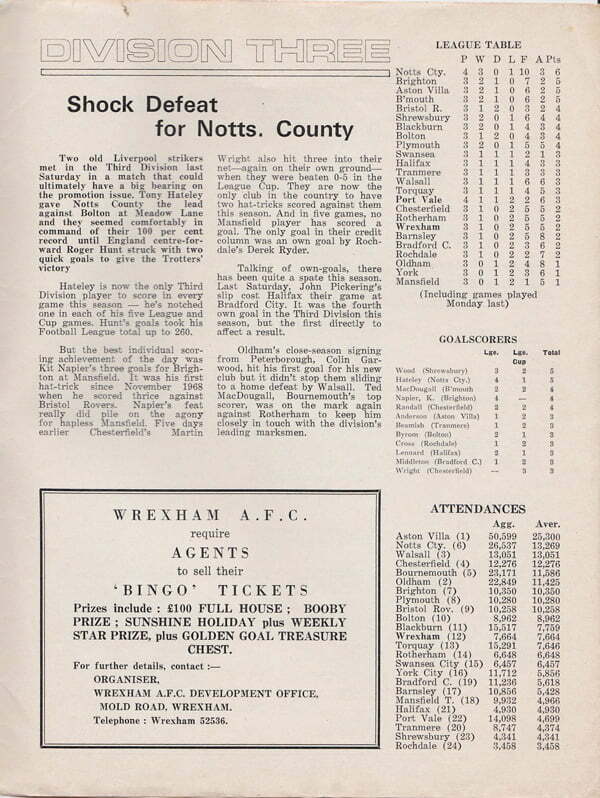 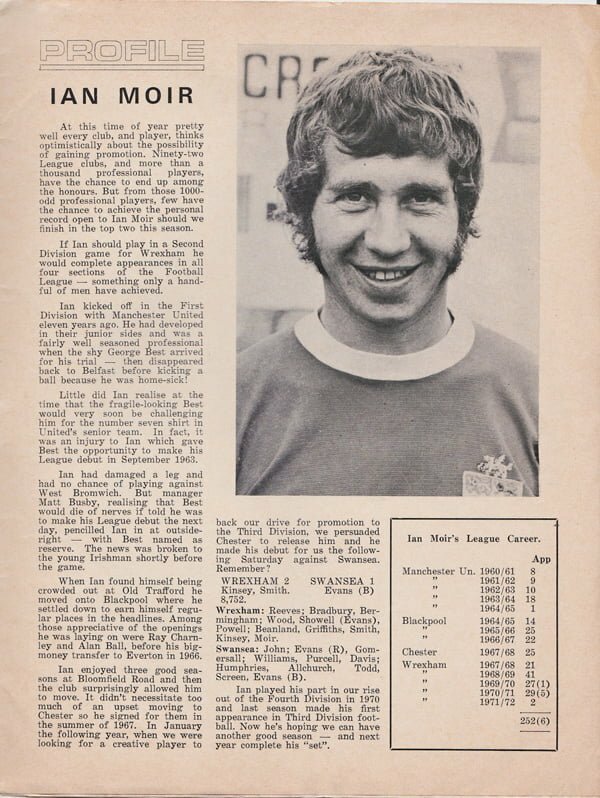 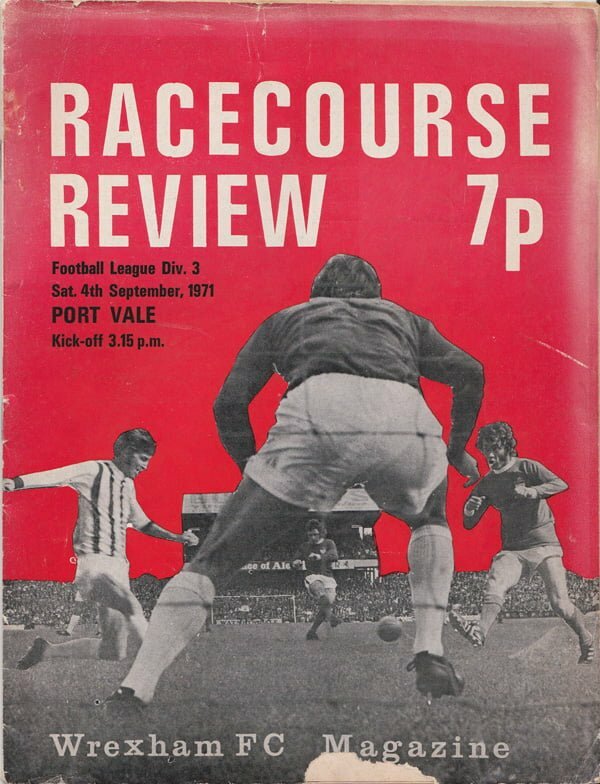 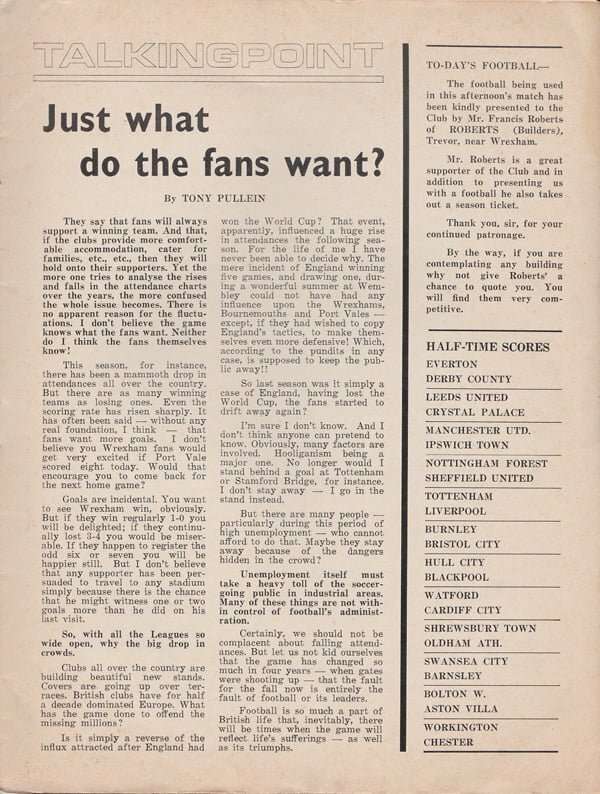 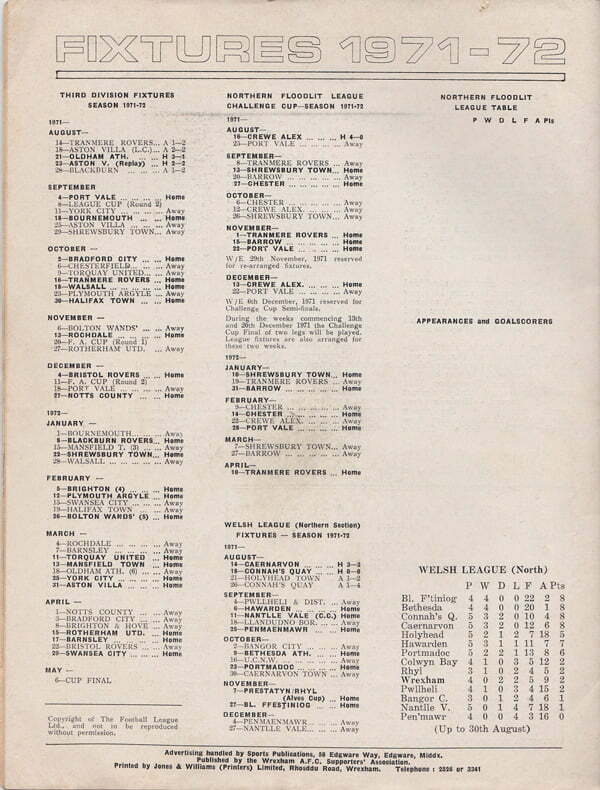 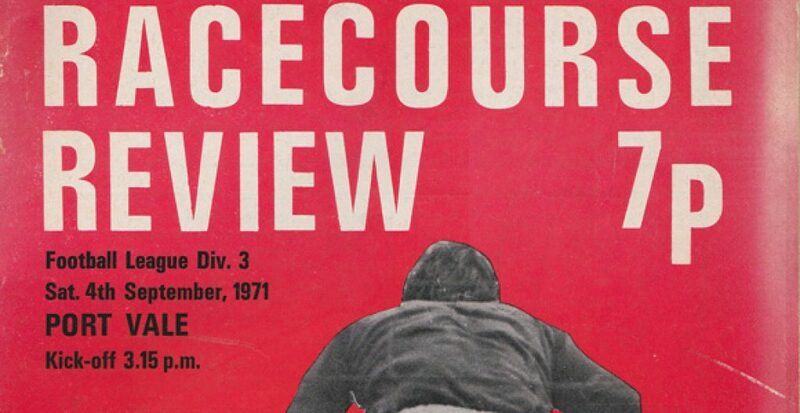 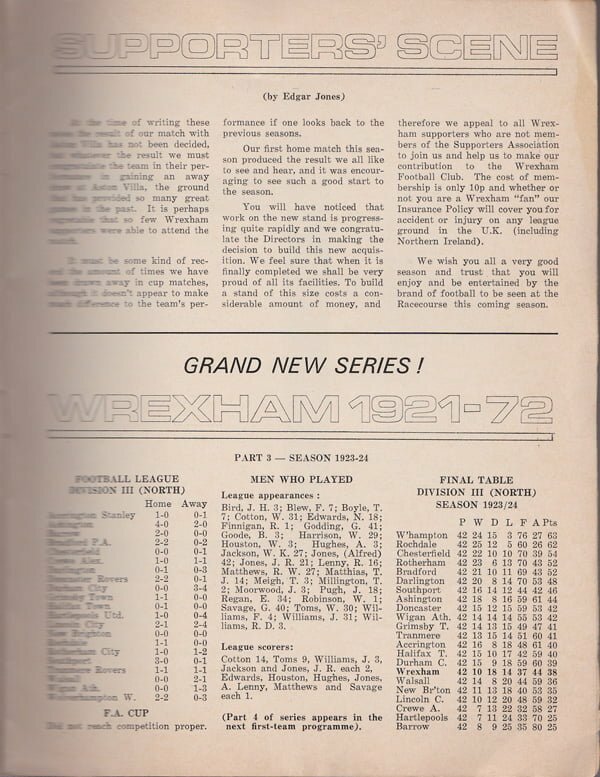 In our latest leaf through a programme, we go back to 1971 and a look at the Wrexham programme for their game against Vale. 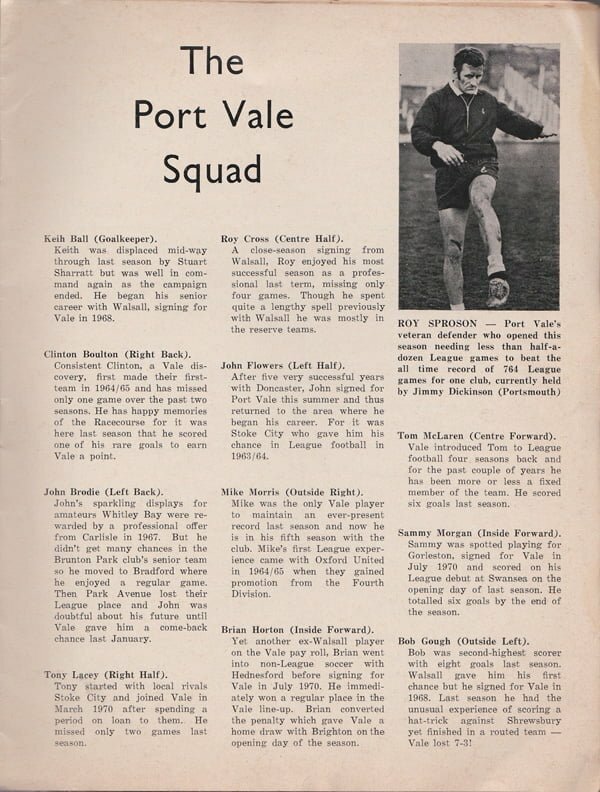 Managed by Gordon Lee, Port Vale won the game 2-1 thanks to goals from John Brodie and Brian Horton. 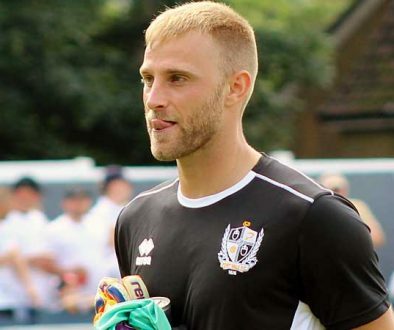 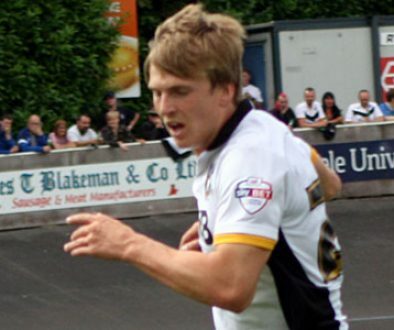 Brodie’s goal was one of only two he scored in his Vale career. 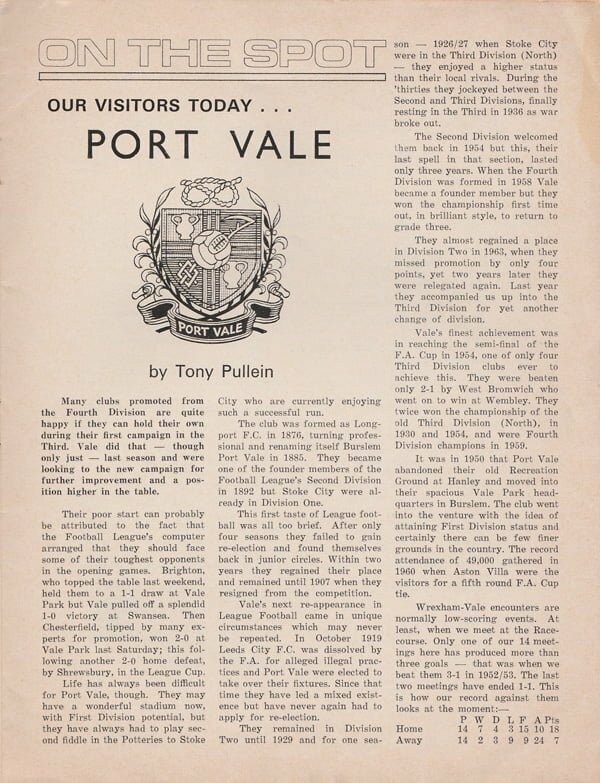 The two sides met again in December with Vale completing the double thanks to Bill Summerscales’ winner in a 1-0 win. 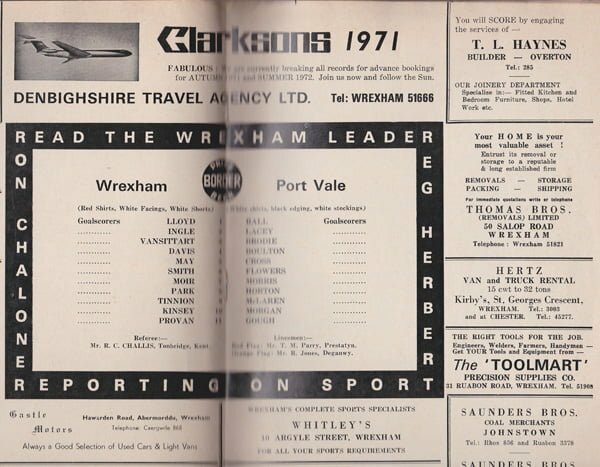 Vale and Wrexham finished in 15th and 16th place in the Division Three table at the end of the season.